Miracast is the built-in feature in Windows 8.1 and Windows 10, so computers that are running Windows 8.1 and Windows 10 can cast their screen to another screen wirelessly and seamlessly. But can I use Miracast on Windows 7? The answer is Yes. To know how to use Miracast in Windows 7, go on reading. Miracast is a standard technology for wireless connections. It enables you to mirror your devices (such as PCs, tablets, or mobile phones) to screens like TVs and projectors, wirelessly and seamlessly. To simply put, it’s regarded as HDMI over WiFi. This is a widespread technology that has been adopted by many device manufacturers, and Microsoft has been one of them. As a result, for Windows 8.1 and Windows 10, Miracast is supported and you can use Miracast easily. 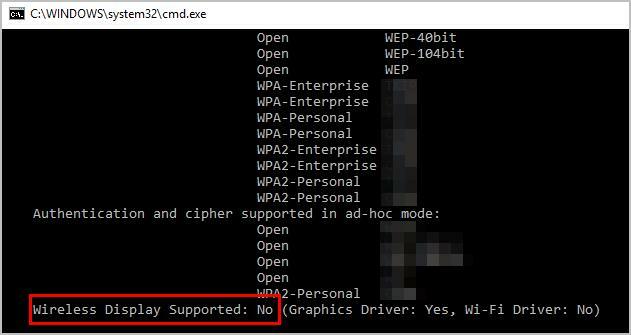 If your computer came with Windows 8.1 or Windows 10 OS, you can just add your TV or projector wireless. If your computer has been upgraded to Windows 8.1 or Windows 10 from an older version, you can use a Microsoft Miracast adapter to connect. Though Microsoft doesn’t provide built-in Miracast in Windows 7 and Windows 8, you can also enjoy Miracast with Windows 7 computers. 1. Does your Windows 7 computer support Miracast technology? Type cmd and click OK. 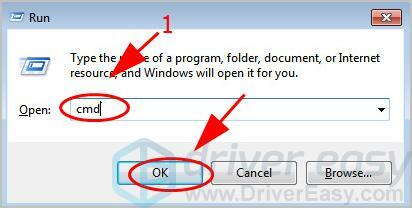 Copy and paste the follow command in your cmd, and press Enter. In the result, find Miracast and see if it’s supported. If you see Wireless Display Support: No, your computer doesn’t support Miracast unfortunately. But you can still streaming your screen to your TVs via Google Chromecast, which is the alternative for Miracast. If you see Wireless Display Supported: Yes, then your computer supports Miracast and you can use Miracast directly. Then continue to the next part: 2. Update avaialble drivers in your computer. Type dxdiag and click OK.
DirectX Diagnostic Tool pops up. Click Save All Information. Save the information in your computer. Open the text that you just saved, and find Miracast to see if it’s available. If Miracast is not supported, your computer doesn’t support Miracast unfortunately. But you can still streaming your screen to your TVs via Google Chromecast, which is the alternative for Miracast. If Miracast is available, that’s great. And you’re good to go. 2. Is device drivers up to date in your computer? Since Miracast is available in your Windows 7 computer or laptop, you can connect your computer screen to TVs or projectors wirelessly. Before setup, you should ensure that the drivers in your computer are up to date, especially your graphics card driver and network adapter driver. 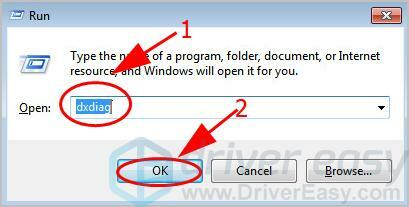 There are two ways to update your drivers: manually and automatically. Click the Update button next to flagged devices to automatically download the latest drivers (you can do this with the FREE version). Then install the drivers in your computer. After updating device drivers in your computer, you can now start setting up Miracast for Windows 7. Now you can start the setup for Miracast in Windows 7. There two options to use Miracast in Windows 7. Intel WiDi (Intel Wireless Display) is the technology that allows people to stream videos wirelessly to TVs. Intel WiDi has been discontinued since 2015 because of Miracast in Windows 8.1 and Windows 10. 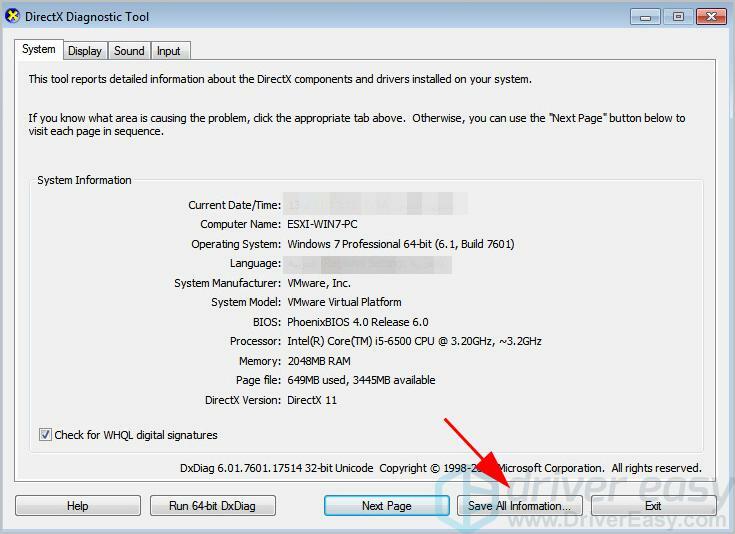 However, for Windows 7 users, you can continue using Intel WiDi. So if you’re using Intel WiDi, you can stream your computer screen to another screen via Intel WiDi. Set up the Intel WiDi by following the product manual. Search for your wireless display in the software, and then connect to it. Now enjoy the wireless casting videos! Another option to use Miracast and cast your Windows 7 screen to another monitor, is to use a Miracast adapter or wireless display adapter. You’ll need a Miracast adapter or wireless display adapter. You can search this kind of adapter on the Internet. Connect your wireless display adapter or dongle to the ports (usually HDMI port or USB port) in your TV or other monitor you want to cast to. Power up your TV or monitor. 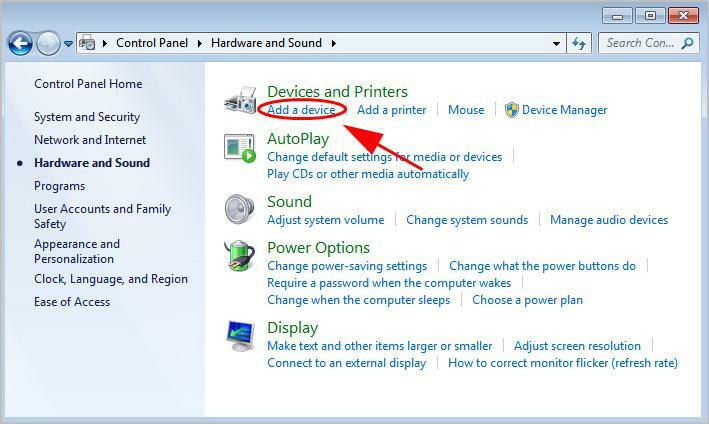 On your Windows 7 computer, Go to Control Panel > Hardware and Sound > Add a device. Add your TV or monitor to your computer. Tadah. Now you should be able to cast your Windows 7 screen to another monitor.